Another great summer blockbuster movie released over the weekend. This time it was Dawn Of The Planet Of The Apes, the sequel to Rise Of The Planet Of The Apes. After viewing Rise Of The Planet Of The Apes, I was left wondering when they were going to do a sequel. The movie was well done and did a great service to the Planet Of The Apes series. And I can say Dawn Of The Planet Of The Apes continues in that tradition. The movie introduced tough themes that we need to think about. We can also learn leadership lessons from Dawn Of The Planet Of The Apes. Think before you act, son. The beginning of the movie held a powerful scene of the apes hunting in the wild. Caesar tells Blue Eyes not to move but he goes after one of the wild beasts. Chaos ensues as a brown bear attacks Blue Eyes and the other apes have to come to his rescue. Further in the movie, Blue Eyes quick action over thinking gets many apes, and people, into trouble. This is a great reminder for us to think before we act. Consider what the consequences could be and who could be affected by the choices we make. 2. Assumptions need to be verified: The events in Rise Of The Planet Of The Apes caused an infection that wiped out most of the human population. Over the years, the apes began to think the human race had been completely wiped out. As you know by the movie, this assumption was wrong. How many times do we make assumptions in our leadership without getting proof to backup our claims? We’ll go headfirst into battle without verifying what we may face. We can’t continue to do this. We’ve got to make wise and informed decisions. During the bear attack, Blue Eyes is swiped by the bear’s massive claws, leaving a giant scar across his chest. Koba, one of the other apes, tells him that scars can make you strong. We’ve all got wounds from the past. Someone has double-crossed you or told a lie or tried to usurp your leadership authority. These cause unseen scars upon our lives. The choice is up to us whether or not we let the scars make us stronger or whether we let the scars consume us. 4. Set a time limit on important decisions: After running into the humans, the apes have a choice to make. Continue their existence as they currently are, hunt down the humans, or contact them for peace. Caesar was counseled to immediately make a decision regarding what to do. Instead of making a hasty decision, Caesar has the wisdom to tell his followers that he will make the decision in the morning. We can’t make hasty decisions as leaders. We also can’t let our decisions drag out too long. We’ve got to be willing to set a time limit on decision time. Unfortunately, I can’t remember who said this line but it rings true in leadership. Great leaders know they have to stick together to be effective. You can’t have people who aren’t willing to do what needs to be done. 6. Sometimes the wrong people have to come along: During the first encounter with the apes, Carver shoots and wounds one of the apes. He was scared and hated the apes for what had happened to the humans. He was also a vital member of the human party as he knew how to operate the water generated power plant. Thus, Carver was needed for the mission to contact the apes and restart the power plant. Carver was the wrong person but he had to go along. As frustrating as it is, we will have to bring wrong people along with our team at times. Sometimes their skills are that valuable. However, this doesn’t mean you need to keep them around forever. You may need them for a single project and then separate ways. The key is to know when you need them and when to let them go. 7. One person’s choice can damage your reputation: I wanted to put this point right after the previous as it correlates so well with that leadership lesson. Caesar made the choice to allow the humans to come into their home and restore power. He had the condition that all weapons be left behind. And we think that happens as the apes disarm the humans. During the mission to restore power to the city where the humans were staying, you could see the tension with Carver. His hatred and animosity towards the apes continued to grow. And then it happens. Caesar’s son is playing with the humans when he goes to Carver’s tool box. Carver reacts and pulls the baby ape away while taking out a hidden shotgun. This choice was damaging to the humans as it reinforced the mindset of the humans are bad. The people on your team can make bad choices that will negatively impact your reputation. Be willing to deal with the problem promptly. 8. You will have to put your trust in those you don’t trust: Caesar’s wife gave birth to a baby. Soon after giving birth, her health begins to decline. Then, after incident with Carver, Ellie steps up to offer her assistance in healing Caesar’s wife. As you can imagine, Caesar was hesitant to allow her to be near his wife. Yet he relents when he realizes she may be their only hope. 9. Deceit destroys: Koba plans a coup of the ape kingdom and uses deceit to get his way. He shoots Caesar with a gun he obtained from the armory and then plays it off as a human had shot Caesar. This causes an uprising within the ape city and they decide to attack, cage, and kill the humans. All the while their homes burn and their lives begin to fall apart. Deceit is no way to lead. Using deceit to rally the troops only causes irreparable harm once the lie has been found out. Be willing to tell the truth, even when the truth is hard to tell. 10. 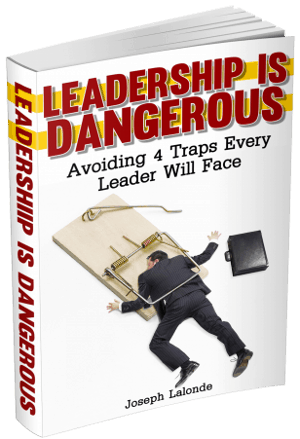 Leadership requires risk: Malcolm and Ellie find Caesar gravely injured. The gunshot wound could be fatal if he wasn’t treated soon. They decide to bring Caesar back to the city and treat him there. Only one problem, there’s no medical supplies nearby. However, there are medical supplies in the city the apes had taken over. Malcolm makes the risky decision to head into the city and get the needed medical supplies. You’ll make many choices as a leader. Some will carry a great risk with them. You’ve got to be willing to push past the fear that comes with risk and take the appropriate action. 11. Be willing to take the blame: Caesar knows it was Koba who shot him. He’s also willing to accept the blame for trusting Koba and the pain this has wrought. Are you willing to be the leader who takes the blame for bad decisions or the actions of those on your team? You should be willing. Blue Eyes made many mistakes throughout the movie. He trusted those that shouldn’t have been trusted. He helped lead a revolt. He didn’t listen. But he comes around and knows he must help his father. He tells his father to let him help. He knows what needs to be done. Offer your help where you see help is needed. Don’t stand by idly. Do your part. 13. Remember where you came from: The home Malcolm and Ellie bring Caesar to is the home Caesar was raised in in Rise Of The Planet Of The Apes. While in the house, Caesar finds a video of him with the man who raised him. This brings back memories and reminds him where he came from. Never forget where you started. It’s not where you’re at now. It’s not necessarily where you need to go again. But you can’t forget where you started. Many people you’ll lead will be from that same spot. Give them the help they need to get where you’re at now. I was going in expecting good things from Dawn Of The Planet Of The Apes. I left having my expectations blown away. This is definitely a must-see movie this summer. Not only that, you’ll be able to take away a ton of leadership lessons from Dawn Of The Planet Of The Apes. 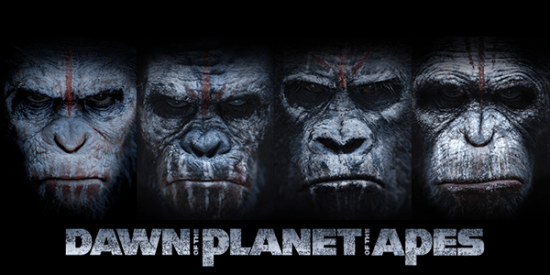 Question: Have you seen Dawn Of The Planet Of The Apes? If so, what’d you think of it? If not, are you planning to see it? Let me know in the comment section below!